Very fine little Watercolor on paper of some artistic merit out of a Massachusetts Schoolgirl book. It has been framed in a lemon gold frame. Condition is excellent. Size is 3" x 3-3/4" (sight) and 4-3/4" x 5" overall. 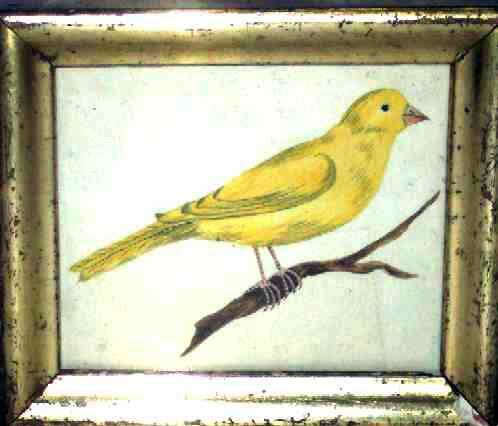 A desirable little folk art painting.